The hybrid DVR of the Russian-Korean production Neoline X-COP 9000C is a unique model; it is distinguished by reliability and high quality of performance of its main functions. Among the most necessary and useful options worth noting is a built-in radar detector, an innovative GPS module. wide viewing angle – 135 degrees, allowing you to cover 5 road lanes. In the event of an accident or if the driver becomes a witness of an accident on the roadbed, he can easily and quickly play back the video footage recorded on the DVR. Since the device is equipped with a 2-inch display, and you can freely view videos and find out need information. In another case, you can use another device into which you can insert a USB flash drive from the car recorder; recording is done in MP4 format. Regarding day and night shooting, here this auto recorder also has very good indicators. When shooting during the day, it shows the correct color rendition; these indicators are preserved during night video filming. It is worth considering that the license plates of other cars easily read when recording video from a distance of 13 meters during the day and 6-7 at night, there are no lights at all. Additionally, when recording video, you can make settings for setting the date and time, the current speed of the vehicle. 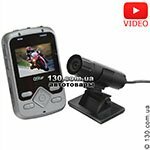 In this model of video recorder for cars, a modern branded player is equipped, with which you can play videos, as well as see accelerometer indicators, it is possible to locate information about the movement of cars on Google Maps. Information about the speed at which the car is moving will be displayed in the lower right corner. In this case, if necessary, the driver can take a screenshot and send it directly from the X-COP player. In addition, it is possible to change the volume, the speed of the video playback, as well as stop the recording, while increasing the necessary frame with the ability to consider the necessary elements in a twofold increase. Among the obvious advantages of this option is also considered the ability to make the necessary settings on the memory card using this player, which is very rare in such devices. Among the important functions worth noting is the presence of a built-in radar detector, which provides increased safety when traveling. This module is equipped with a number of useful and very necessary options that help quickly and effectively detect radar systems and police cameras on the roadbed. 1. Confident and accurate definition of various types of radar systems, as well as the Strelka modules. 2. Intellectual processing of Avtodoria cameras – detection and warning of the location of the first and second cameras on the road. If the speed limits in this area are exceeded, the driver notified about this by the system. after this, speed or GPS module starts working, the job of which is to notify radar and cameras from the database about the certain type of device. Many drivers sometimes prefer to leave GPS enabled only. However, then there is a possibility that, in the case of a passage in the place of installation of a fresh camera, the driver will not know about it, since the radar detector will be disabled. Therefore, it is necessary to take into account this nuance when using this function in the recorder. In addition, it can notify about traffic police posts, as well as about self-marked and stored in the «Dangerous Zones» system. The detection distance can be different, it depends on the speed of movement of the vehicle, it can be 600-900 m.
Separately, it is worth noting the parking mode, its launch is mainly performed manually in many models, but here it is turned on automatically. Switching on is carried out after a prolonged absence of movement in front of the camera, a check is also made after a certain time, which is preset in the menu. Emergency video recording is triggered after the accelerometer is turned on, upon impact or when motion is detected near the vehicle. Features of response sensitivity can be customized. These videos are recorded on the device in a separate folder on the flash drive. «X-COP» is a unique mode specially developed by the manufacturer, it implies auto-change settings, this is directly related to the speed of the vehicle. This mode allows the device to not respond at speeds up to 30 km, at 31-60 – the «City» mode is triggered, and over 60 km/h – the «Track». For a more optimal use of the Neoline X-COP 9000C combo device, the user can independently set the speed limit settings for each of the specified modes, except for «X-COP». In addition, when the above set speed is reached, which is set in the DVR by default, the driver will be notified only by displaying information on the display, without being alerted by sound or voice. There are several buttons on the device in order to turn on the device, make a selection of certain tasks, and also the «Menu», «Up», «Down» keys. By pressing the menu button, you can make the necessary settings. 1. Change quality of the video by selecting HD or Full HD. 2. Increase the exposure step if you want to shoot video with reduced visibility, for example, at night. 3. Turn on the microphone. 4. Configure detection options for radar systems and cameras — disable unnecessary ranges and voice alerts, set speed limits. The screen has a diagonal of 2 inches, it is enough to make need settings or view the captured video. In addition, the screen is made on the IPS-matrix; as a result, the picture will be quite bright, saturated and clear. The combo device is mounted on the windshield using 3M tape; it is more convenient and efficient. This device is characterized by the presence of a quick-release fastener – the recorder can be easily and quickly removed and also installed in place. For a more accurate installation of the desired position, the presence of a hinge is provided in the mount, and a plastic washer allows you to securely fix the device. The Korean power adapter is designed as a circular connector; however, in case of a necessary replacement, it will not be difficult to find a suitable option. warranty and instructions for use. An important advantage of this model is sufficiently long power cable – about 2 meters, this allows you to fix the wire around the perimeter of the windshield, then run along the torpedo directly to the cigarette lighter. As a result, the cable will not interfere, freeing up space for a better view. DVR has also an informative and very useful box. 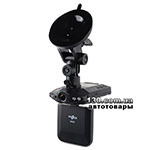 It shows all the model characteristics and lists all the features and advantages of this recorder for cars. In addition, here are described detailed warning information about the radar on the road. advantage of this device, since it eliminates the likelihood of obtaining fines for speeding. In addition, it can be used to capture high quality and detailed video, thanks to which you can find out the details of an accident or an accident if the driver became her witness or participant. For getting more information about this model and buy it you can visit our website. Here is a large selection of auto-registrars of different configurations – with one or two cameras, built-in mirrors, hybrid combo devices, as well as multi-channel options. Are you looking for car DVR? You can buy it in Kiev, Odessa, Kharkov at 130.com.ua. Delivery in Ukraine. Looking for a quality and the best DVRs? This rating of DVRs is made on the basis of such parameters as: high demand with positive feedback from our customers, high-quality manufacturing — absence of factory defects and service calls, and official warranty and post warranty support in Ukraine. By using a wizard selection can easily select the main criteria for the DVR. Legal aspects of using the DVR as evidence. The main task of the DVR - proof of your innocence in a variety of driving situations. Using the DVR record in this case stipulates several restrictions.